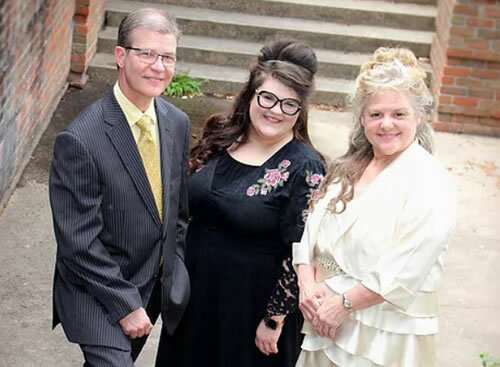 The Hendrix Trio is a southern- and country-gospel trio based in Texarkana, Texas. Formed in 1992, the group travels as weekend warriors in an RV mostly in the four states area. Bobby Hendrix has been a registered nurse (RN) for over 25 years and is currently working at the Texarkana Surgery Center. He plays the piano, sings and arranges the groups music. Bobby also plays the piano faithfully at Faith Assembly Of God, the groups home church. Rhonda Hendrix has over 30 years of experience as a travel agent and has worked independently from home for the last 15+ years. She owns and operates Rhonda's Travel on a part-time basis and also works full-time at Texarkana Surgery Center in the Medical Records department. She sings, writes songs, emcees and takes care of the bookings for the trio. Ranessa Hendrix, Bobby and Rhondas 25-year-old daughter, sings high soprano for the group. Since the group's founding in 1992 was before Ranessa's time, she did not join the group as a full-time minister until the age of 14 in 2008. Over the years, she has grown in the group's ministry and has a wonderful testimony from the Lord to share with young people wherever they go. She currently works as a Graphic Artist and Office Manager for a local magazine. Married in 1989, Rhonda and Bobby sang with their perspective family groups for two years while praying about starting their own ministry. Bobby grew up singing and learned piano at the age of ten with the Gospel Chimes, his family group based out of Texarkana, Arkansas. Rhonda began singing with her sisters in her teens as The Jenkins Sisters. As God often ordains their steps, Rhonda and Bobby met at a concert where their two families were both singing. The two began dating and not long after were married! Rhonda says, "Yeah, I was an old maid by the time Bobby found me, and I had to wait on him to grow up! But I'm only six years older than he is!" As they say, the rest is history! The two founded the group in 1992 and celebrated their 25th year of ministry in February of 2017! The group not only travels and sings, but they also promote gospel music on a local and national level in the Texarkana area. Over the last 25 years, they have had the privilege to sing with many national recording artists, including The Hoppers, Gold City, The Bowling Family, The Nelons, Jeff and Sherri Easter, Greater Vision, Karen Peck & New River, The Stamps Quartet, Russ Taff, The Isaacs, Chris Golden and many others. Since their founding in 1992, The Hendrix Trio has released 11 recordings with the latest debut, Seasons, which was released in 2016. The trio has hosted eight successful gospel music cruises and are the founding family behind RDH Promotions.